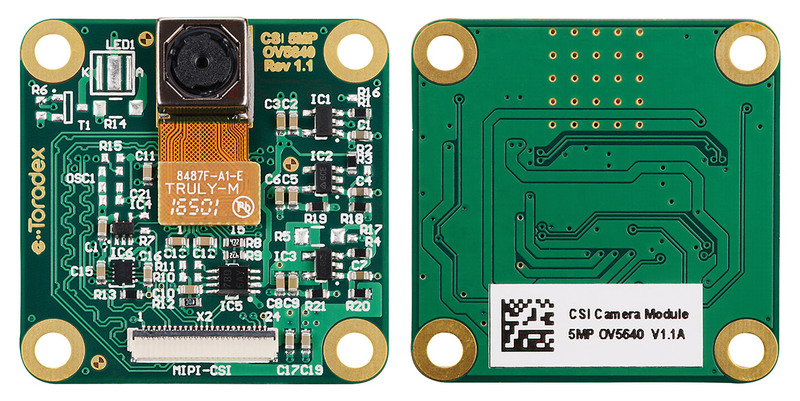 The CSI camera module uses an OmniVision OV5640 camera sensor with built-in autofocus. The OV5640 is a low-voltage, high-performance, 1/4-inch, 5-megapixel (2592x1944) CMOS image sensor. “The new camera module makes it easier for Toradex customers to prototype computer vision projects. 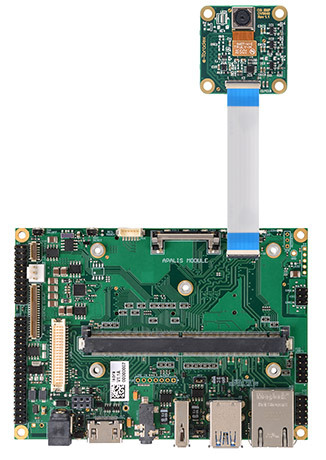 Our Apalis computer modules are a proven platform for embedded vision applications. Technologies such as deep learning and frameworks like OpenCV, TensorFlow and Caffe are progressing quickly and enabling more and more possibilities in edge devices,” says Daniel Lang, Chief Marketing Officer for Toradex. The module is globally available in the Toradex Webshop. As with all Toradex products, you’ll also benefit from excellent support via channels like the Developer Centre and the Toradex Community, as well as direct support from Toradex offices around the globe. For more information about the MIPI-CSI camera module, visit our Developer Centre. To learn more about the Toradex Apalis ecosystem, visit the Apalis overview page.